Grivel listened to all the feedback from their initial release of the 360 ice screw and came back with an improved solution. For the newest version of the 360 ice screw (out now!) Grivel updated the hanger for improved racking, fixing the biggest complaint of the previous 360. This was an interesting problem to solve because one of the screw’s most known and liked features was how it fit into really tight and narrow placements. Grivel had to balance lengthening the hanger to rack better while still keeping the profile as small as possible. The functionality of the screwing arm did not change at all and still is one the longest arms on the market, for maximum cranking. Watch the video at the top of this post to see Peter McConkie show the improvements made to the 360 Ice Screw as well as its key features. Or, if you want more gear videos subscribe to our Vimeo and YouTube channels. 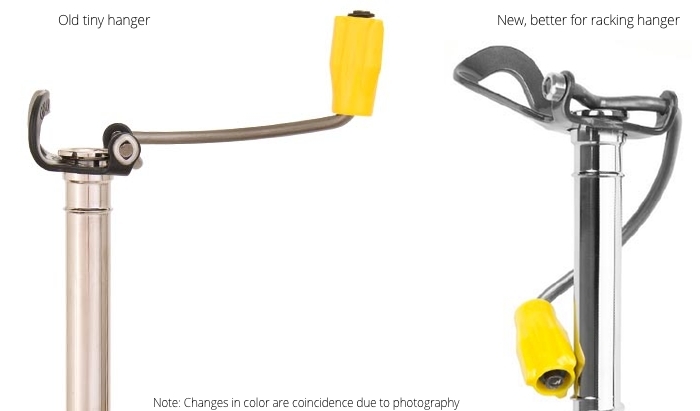 Grivel says the 360 screw is now the fastest ice screw to place because they added sharper and longer teeth (teeth 25% longer than other Grivel screws) providing extra grip on the first quarter-turn into the ice. Yes, this also means the teeth are more fragile, so they won’t survive bottoming out as well as another screw might. You can compare every ice screw currently available at: www.WeighMyRack.com/icescrew. Perhaps the most unique feature, found on all Grivel ice screws, is their “reverse threading.” This means that the screw threads are angled in the opposite direction of most other brands of ice screws. Another way to think of it is: Grivel screw threads are flipped down from traditional threading. Grivel believes reverse threading makes a significant difference (so does Cassin/CAMP). The example Grivel touts is from a concrete pull test. The UIAA normally tests ice screws using a straight pull from a specific mix of concrete to test things like hanger strength. During these pull tests, Grivel’s reversed threads grabbed more concrete than the more standard thread design. Presumably, this larger chunk of concrete would be akin to a larger area of ice, suggesting that the screw was more effective at spreading the load. Further: If you are interested in the merits of the “reverse thread” design, check out other internet posts to see photos of the concrete tests and read about the concerns of testing in concrete. Or read discussion of the engineering that goes into thread design, or the questioning of straight pulls while testing to judge if reverse threading would make a [significant] difference in the event of a fall on ice. All the while remembering that while out ice climbing the #1 rule is: Do Not Fall. In the end, it’s nice to see the screws priced similar to others in the market ($69.95). Reverse threading or not, the sharper bite, narrow hanger head, and long cranking arm are enough to make it worth consideration. 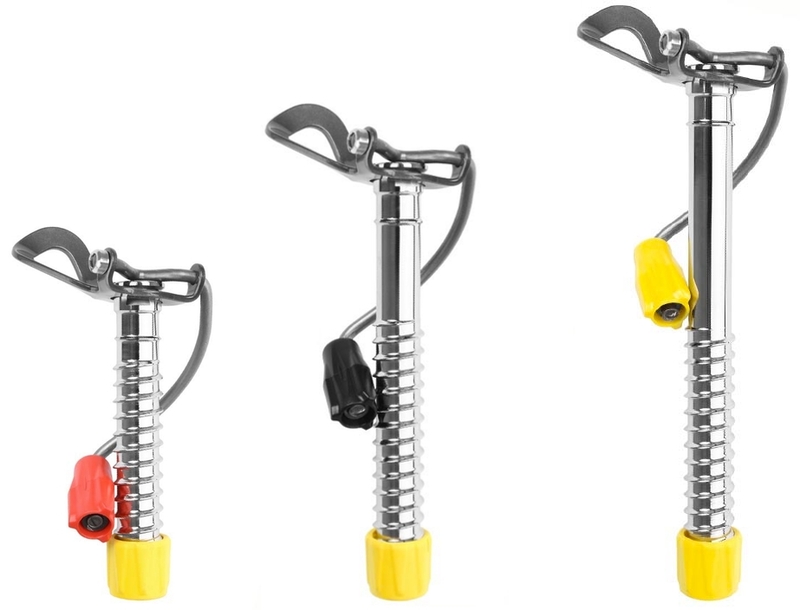 Grivel screws come in three color-coded sizes, short (red, 12cm), medium (black, 16cm) and long (yellow, 20cm). If you’re interested in more new ice gear from Grivel, check out Grivel’s newest ice tools coming out in 2014. 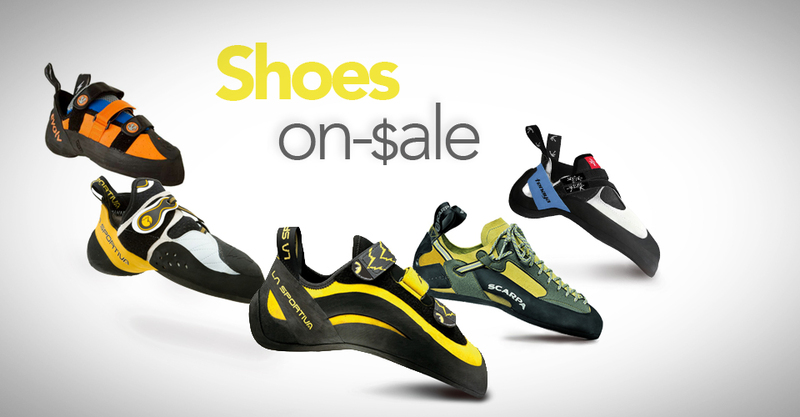 Or, check out all the new rock climbing gear from every climbing manufacturer seen at the Winter Outdoor Trade Show. Questions about the 360? Let us know in the comments and we’ll get you answers! Hey guys, the 360er have been out there for at least 2 years, nothing new in that. They are amazing screws even if super heavy but far from new or exciting nowadays sorry. You’re right, the 360 has been out for a few years already. This post was written to talk about the change Grivel made to the hanger, and the 25% increased teeth size, which are both a significant difference from the old model, and just happened. Since we had never written about the 360 screw before, we included a bunch of backstory about the screw and all its features, including the specs that have been present since the screw came out. We assumed they’d still be helpful for folks just getting into ice climbing or wanting to learn more about screws in general.